any chance you can implement classic taskbar settings? so you can avoid using the settings app to change tray / bar settings? 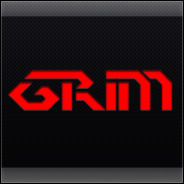 I am using my HUD Machine RS1 theme, in Taskbar & System Tray > System Tray > Basic > Clock I have set the clock background to none but I still get the hard coded grey background, I tried with an image as well but I have the same results, I have also added back the classes and properties for the show desktop but all I get when I hover over it is a grey transparent button. If possible could you also make the clock text and font properties use Taskbar & System Tray > System Tray > Basic > Clock like it used to be pre RS1 instead of Taskbar & System Tray > TaskBand > Basic > TaskBand or Taskbar & System Tray > TaskBand > Aero > TaskBand. Awesome. Thank you so much! How to add "Show Desktop" to msstyle? has anyone got an issue with the favourites menu? i have an awful lot of bookmarks but it goes over the edge of the screen and does move over if i try and scroll to the bottom off the list. StartIsBack++ 2.5 BETA - JumpListIsBack! This is amazing, but is it possible to make the Windows 10 style just as fast and responsive as the W7/8 style jumplists? With the Windows 10 style there is a delay in opening the jumplist. 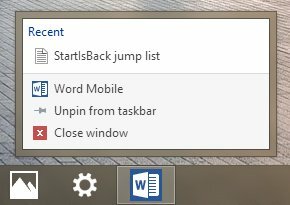 Just a couple of bugs to report (these only occur when opening the jumplist by dragging the button upwards, not by right clicking): when opening the jumplist on the Windows7/8 style, sometimes the preview thumbnail for the leftmost taskbar icon appears. Also sometimes the jumplist background is empty and blurred for a split second. This is nice but it would be a great idea if we could disable them to use Windows 10 defaults's one. Also, does StartIsBack use the same part in msstyle than Windows 8.1 ? I have wreid blurred background on them. Another bug, when you open jumplist sometimes the icon keep it's selected frame even when the mouse doesn't hover it. Thanks for doing this for Windows 10, it's great ! Nice work Tihiy, I see you used the extended UI background as the frame, was there a reason for doing it this way instead of using the DWM window frame? With a helping hand of StartIsBack, Aero Glass and several other tricks my Windows UI finally look the way I want. Thank you for adding the final touch with a return of styleable Jump Lists. - Shortly after install, you should receive an update to 2.5 RC3. This is to test new update toasts.